“We are determined to stop the Iranian aggression against us, even if it involves a struggle – it is better now than later,” Netanyahu said. Israel is determined to prevent Iranian entrenchment in Syria, even at the price of a direct confrontation with the Islamic Republic, Prime Minister Benjamin Netanyahu indicated Sunday, three days before a planned meeting with Russian President Vladimir Putin to discuss the issue. Netanyahu said that in recent months Iran’s Islamic Revolutionary Guards Corps has transferred advanced weaponry that could be used both against Israel’s forward positions and the home front. This weaponry includes attack drones, ground-to-ground missiles and anti-aircraft systems that would threaten Israeli Air Force aircraft. As if to illustrate this point, Netanyahu will join Putin on Wednesday, May 9, for the annual parade in Moscow marking the victory over Nazi Germany. The Soviet Union lost more than 20 million people during World War II. Last July, the Knesset declared May 9 as a national holiday, to be commemorated by special programs in the Knesset, the cabinet, schools and the IDF. Diplomatic officials have said Israel’s recognition of the Red Army’s crucial role in defeating the Nazis has played an important role in the development of strong Israel-Russian ties, as Moscow feels its part in the defeat of the Nazis – and its sacrifice – has been badly downplayed by the West. In 2012, Israel dedicated a monument in Netanya to the Red Army’s defeat of the Nazis, one of the only countries outside the former Soviet bloc to have done so. Putin came to the country for 24 hours in 2012 to take part in the dedication ceremony of that monument. The meeting with Putin comes at a time of increased tension in the north, including reports that Israel has hit Iranian positions in the country in recent weeks, and that Moscow intends to supply Syria with advanced S300 anti-aircraft systems that could restrict Israel’s freedom of action in Syrian skies. Netanyahu said that Israel reserves the right for freedom of action to defend itself. “We do not want an escalation, but we are prepared for any scenario,” he said. The premier’s trip to Russia will come a day after he meets Greek Prime Minister Alexis Tsipras and Cypriot Prime Minister Nicos Anastasiades in Nicosia for their fourth summit since 2016. 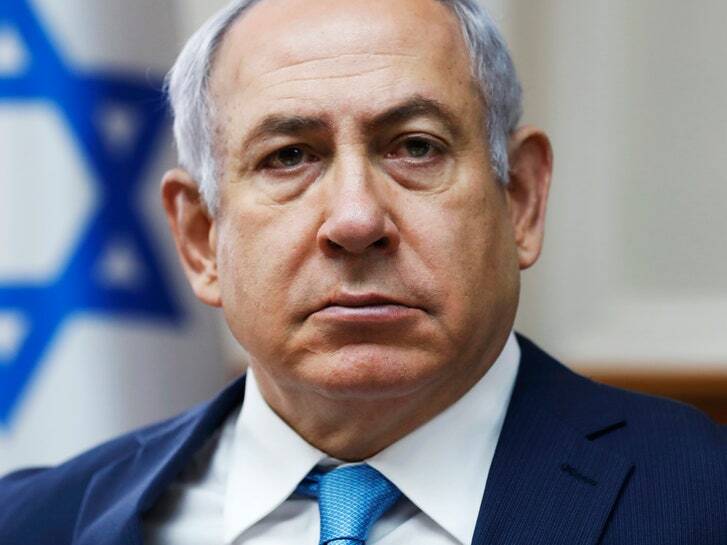 Netanyahu said that meeting will deal with a number of issues, first and foremost the feasibility of laying a pipeline for natural gas from Israel’s natural gas fields in the Mediterranean to Cyprus, Greece and then on to Italy and western Europe. A memorandum of understanding regarding the pipeline was signed in December. While the alternative of exporting Israeli natural gas to Europe through Turkey would be cheaper than going through Cyprus and Greece, Jerusalem is reluctant to go that route because of the anti-İsraeli policies of Turkish President Recep Tayyip Erdoğan.